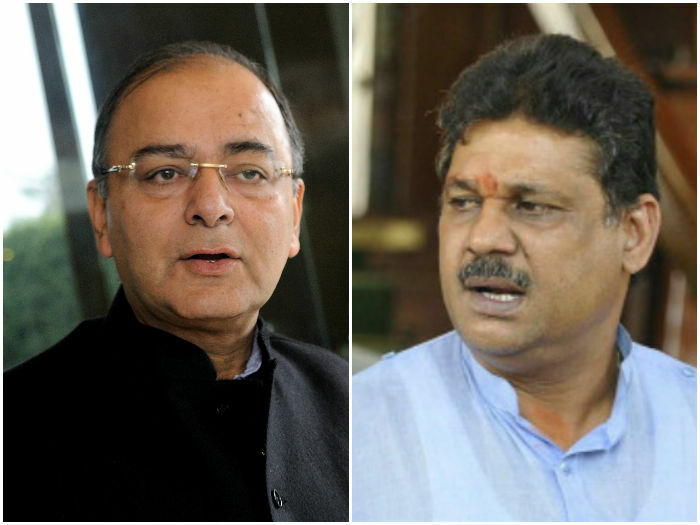 Congress leader Kirti Azad has launched a stunning attack seemingly against his former party colleague and Union Minister Arun Jaitley after the latter wrote a blog slamming digital news platforms for writing stories that embarrassed his government. Azad’s extraordinary attack against Jaitley came hours after the latter had written a blog to defend himself over allegations of accepting Rs 150 crore in bribe from former Karnataka Chief Minister BS Yeddyurappa. Writing in his blog, Jaitley had blamed the popularity of news portals for routinely embarrassing his government with its investigative journalism without any sense of reprisals. According to Yeddyurappa’s alleged bribery diary, the former Karnataka chief minister had paid Rs 150 crore each to Jaitley and Gadkari, Rs 100 crore to Rajnath Singh, Rs 50 crore to Murli Manohar Joshi, another Rs 50 crore to advocates as fee for cases, Rs 250 crore to several judges, Rs 10 crore towards Gadkari’s son’s marriage and a whopping Rs 1,000 crore to the BJP Central Committee to become the chief minister of Karnataka. Azad had accused Jaitley of spearheading largescale corruption in the DDCA during the latter’s term as the Delhi cricket body’s president. In 2015, Azad had held an extraordinary press conference, where he had pointedly blamed Jaitley for supervising corruption and committing frauds in the DDCA. His expose through a video of DDCA AGM had rocked Indian politics leading to his suspension from the party.